The Texas Chapter of the Association of the United States Army will sponsor a world class wrestling presentation, to include Dingo, Lance Von Erich, Matt Borne and Buzz Sawyer. There will be a total of five meets 7 p.m. Dec. 4 at Abrams Physical Fitness Center. Tickets purchased at the gate will be $7. 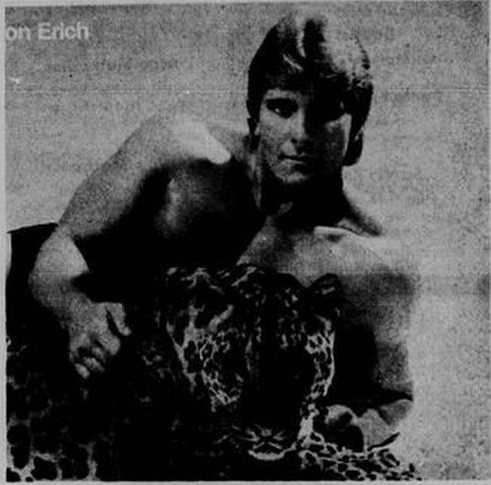 LANCE VON ERICH will be one of the several wrestling stars featured at a World Class Wrestling Match at Lon Morris Gym at 8 p.m. Saturday, Nov. 15. The event is sponsored by the Cherokee County Charities Association. Matches include Dingo Warrior versus Maniac Matt Borne; Von Erich versus Maddog Buzz Sawyer; Cowboy Scott Casey versus Black Bart; Chief Mark Youngblood versus Brian Adias; Perry Jackson versus Grappler No. 1. Tickets are available at Blankinship TV, Rusk Home Video and All That Video in Jacksonville. Ringside prices are $8 advance, $9 gate; chairs, $7 advance, $8 at the gate; general admission, $5 advance and $6 gate; children, $3 advance and $4 gate.